Lucy is a girl who gets bullied at school. Bullied a lot. Especially by four mean girls and their friends. She tries to become as invisible as possible and make it through each day. Most of the time she’s alone, with no friends, and no other family except for a mom who’s always at work. The only joy in life is her imaginary friend Will. Will comes into her life after a traumatic event and she gets to see him each year on her birthday – but only in her dreams. Will teaches her about family, faith, bravery, kindness, and love during their adventures in historic events in the distant past. Throughout the book, the reader doesn’t know if Lucy will be alive at the end. The characters in this book are so real, they could be students walking the halls in any school today. The author brilliantly and consistently carries Lucy’s dream family through history starting in the prehistoric past. Each time Lucy goes to see Will in her dreams, they don’t recognize her, but she recognizes them. And each time, Lucy is there to save Will’s life and give up her own. If I Wake delivers a powerful message that will touch the hearts of so many who are being bullied or have been bullied in the past. This book should be required reading for students, parents, and anyone who works with youth. By going through sorrow and joy with Lucy, the reader understands how hurtful and damaging bullying can be, and gains strength to stand up to bullies or stop being one themselves. The ending to the book is outstanding in its unexpected turn of events. The book gives the reader hope if they are being bullied, helping them to see that they are important, even if they don’t feel like it. "The beeping is far away so I don't worry about it. It's too difficult to move. I don't remember anything after that." 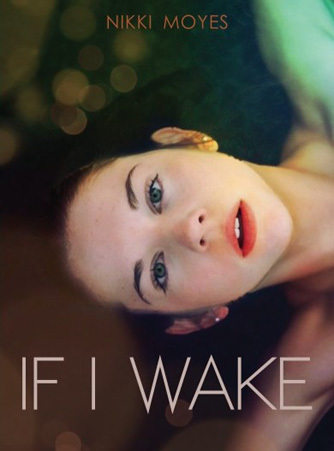 Nikki Moyes writes YA fiction and her first book, 'If I Wake' was published in 2016. She was born in Victoria and has moved around Australia amassing an eclectic range of occupations including tallship watch leader, apiarist, rose farm hand, and sandwich artist. In her spare time she learns tissu, static trapeze, and aerial hoop (she couldn't decide on one) in case she needs to run off and join the circus.